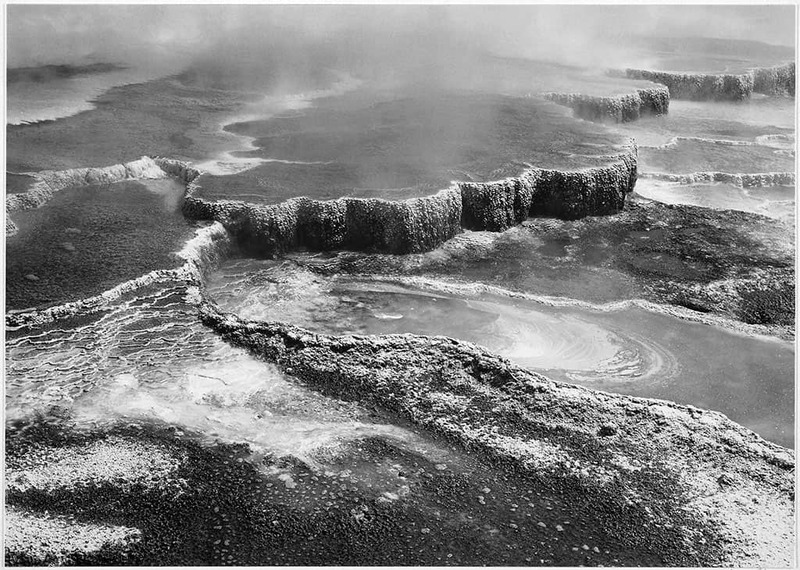 In the mid-1900s avid photographers looking for a good picture at one of America’s iconic landscapes may have encountered a short, bearded man fiddling with a large-format camera. 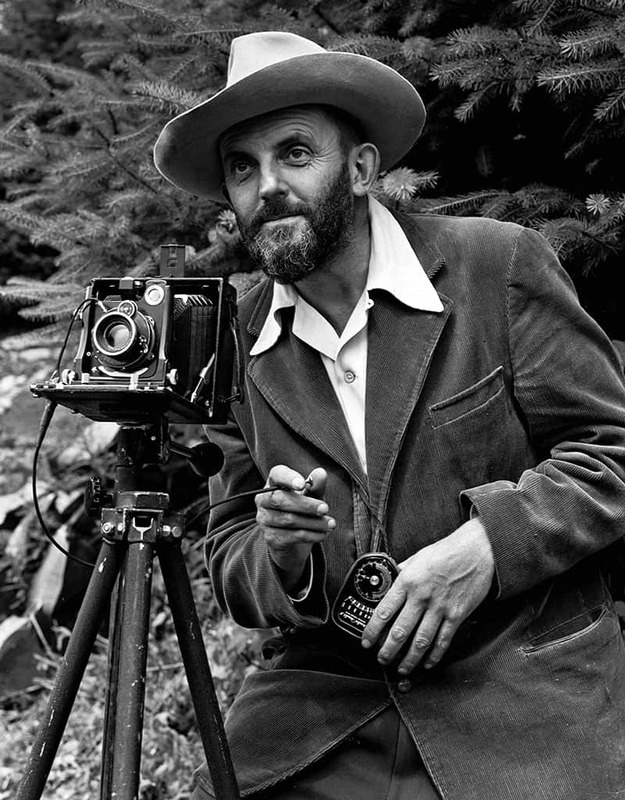 If they recognized him as Ansel Adams, they knew they were in the right place. 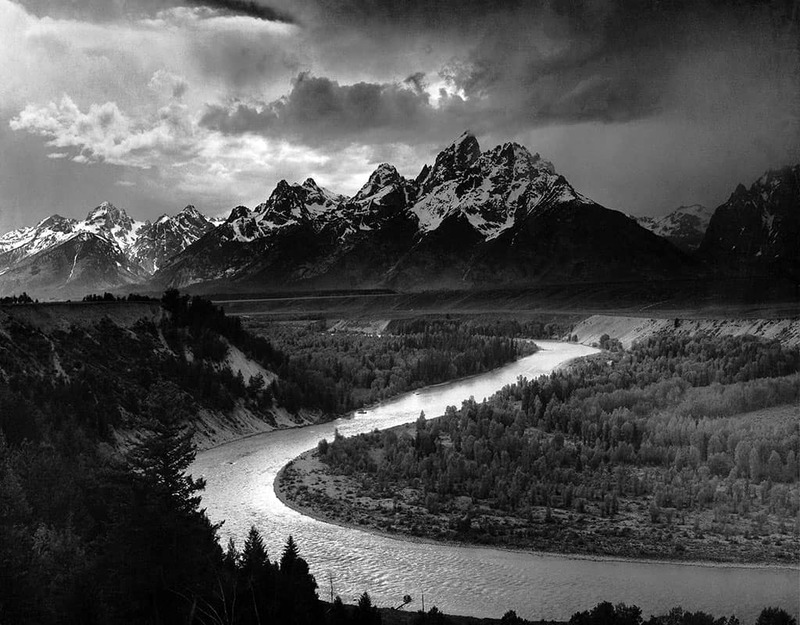 Adams was not just an exemplary photographer, but also a visionary who revolutionized his craft. 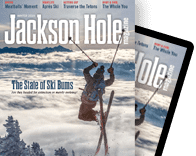 He coined the term/concept of “visualization.” As it relates to photography, this is where the artist, through exposure and the printing process, creates an exact replication of a scene as viewed in the artist’s eyes and mind. 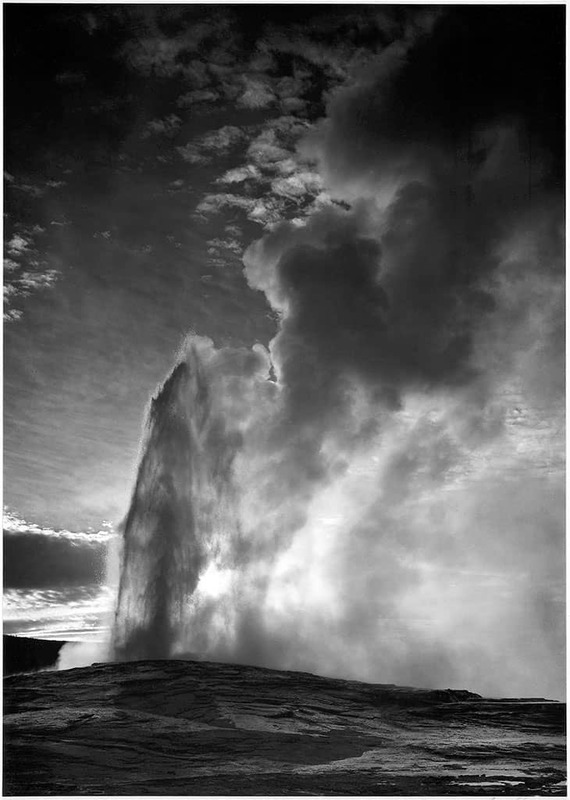 Adams understood that everyone sees the world differently, so, in theory, photographs made by different artists of the same scene could have starkly different results. 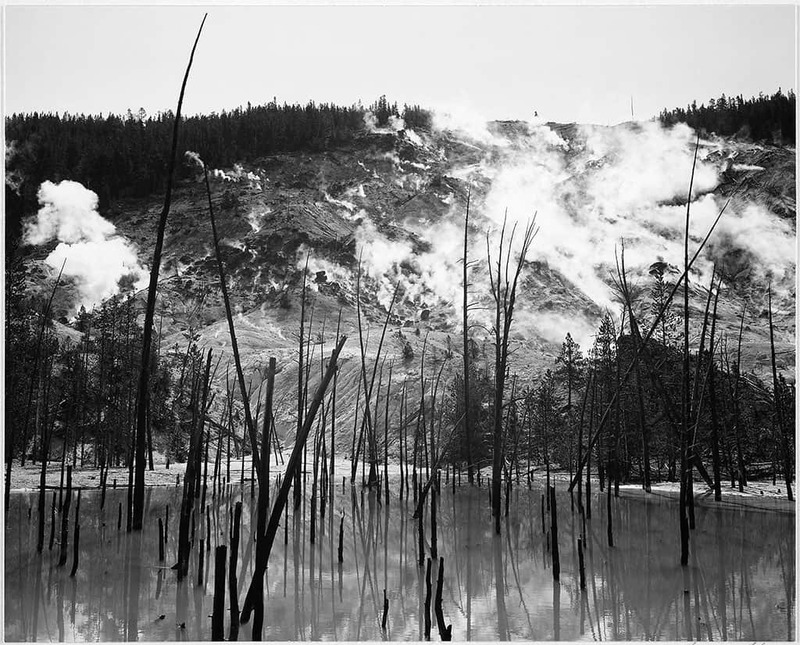 In late 1941 Adams was contracted by the U.S. Department of the Interior to tour America’s national parks and, using his unique vision, produce imagery that would adorn the department’s new headquarters in Washington, D.C. 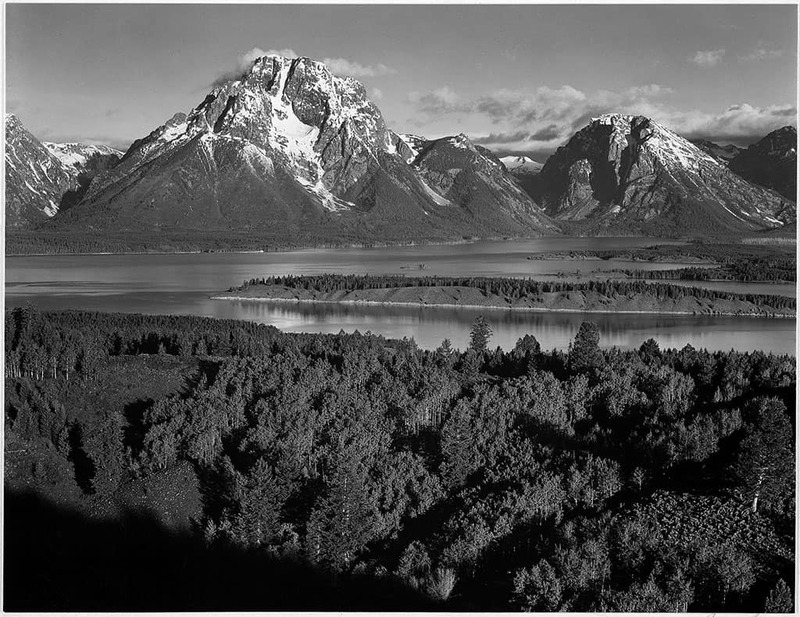 The project was suspended after less than a year due to the escalation of World War II, but not before Adams visited Yellowstone and Grand Teton national parks in the summer of 1942. 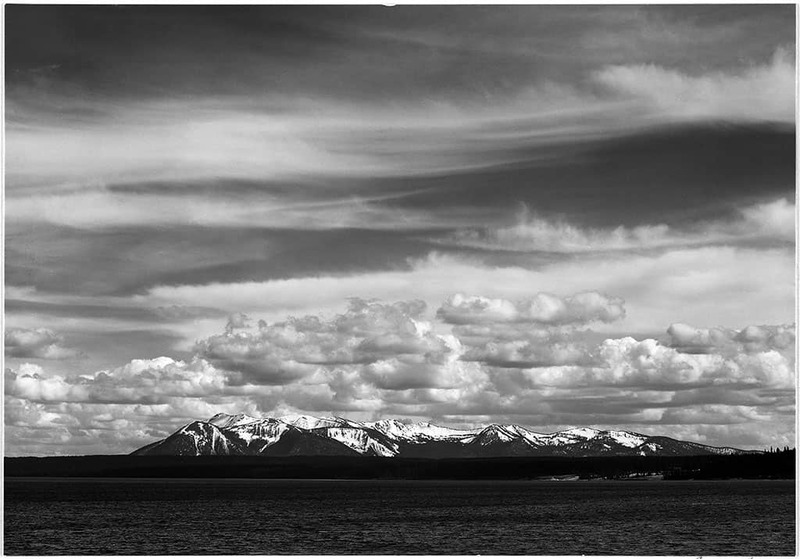 On that trip he created some of the most memorable images of Old Faithful, Yellowstone Lake, and the Teton Range.